Vermaut’s Boerenbrood from the Belgian town Lendelede recently had an urgent need for capacity expansion for the tin bread production. A requirement for the capacity expansion, was a short payback time on the investment. The solution for their business case turned out to be a used bakery production line. I spoke with Alain Daniels, COO of Vermaut’s Boerenbrood and my colleague Rino van der Burght (sister company Dubet) about this challenging project. Vermaut’s Boerenbrood (part of Diversi Foods) is an industrial bakery that delivers fresh bread and pre-baked frozen (bake-off) bread to various channels every day. Vermaut’s Boerenbrood has been standing for traditionally stone-baked bread for several generations. Besides round bread, square bread, pistolets, patisserie and viennoisserie (puff pastry) is part of their range. “Last year we urgently needed to expand our capacity for the production of tin bread. This required a short payback period”, thus Alain Daniels. 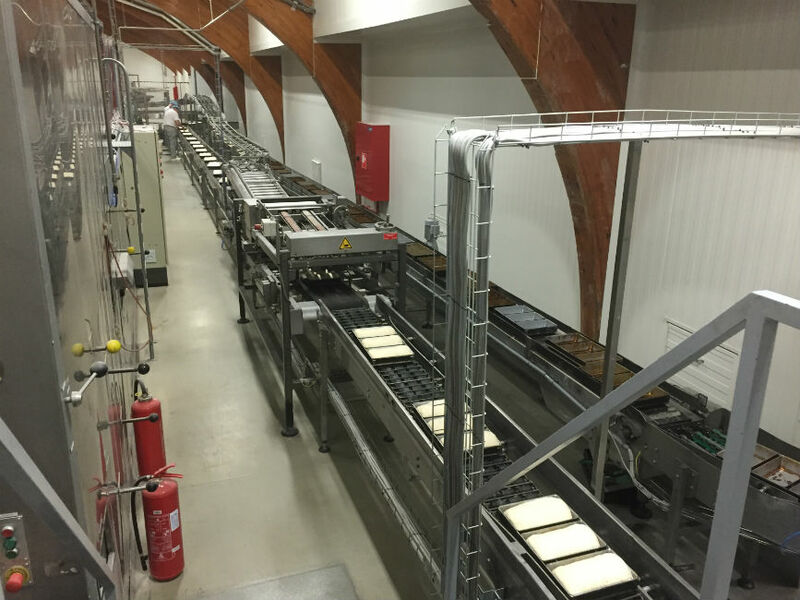 “After comparison between a complete new bakery line and a used line, it turned out that the solution for our business case, is a used bakery production line”. “For us, Dubet is known as reliable supplier of used industrial bakery production lines, so we have discussed with them our need. They soon offered a Capway tin bread line. This line largely met our requirements so a visit to the line in Spain was planned. Over there, the line proved to be a very interesting option and included a number of extra components that had added value for our bakery. For example, there was an infrared oven included which crustless bread could be produced”. Alain: “Since this was a complete large industrial line, which had to be transported from Spain to Belgium and which required necessary adjustments to make the line suitable for the destination location, we asked Dubet to accept this as a total project (turnkey). This involved; disassembly, transport, overhaul, engineering, project management, reinstallation and commissioning”. “For the customer this is a very challenging and risky project”, thus Rino. “We daily deal with dismantling, transport, overhaul and re-installation. Our sister company Integrated Bakery, has a lot of experience in engineering, project management and commissioning. Together we saw this project as a great opportunity to take care of these challenges and risks for the customer and to use our joint expertise to conclude this project successfully. We have therefore responded positively to this question”. We started with the adjustments on the layout and at the same time the disassembly started. 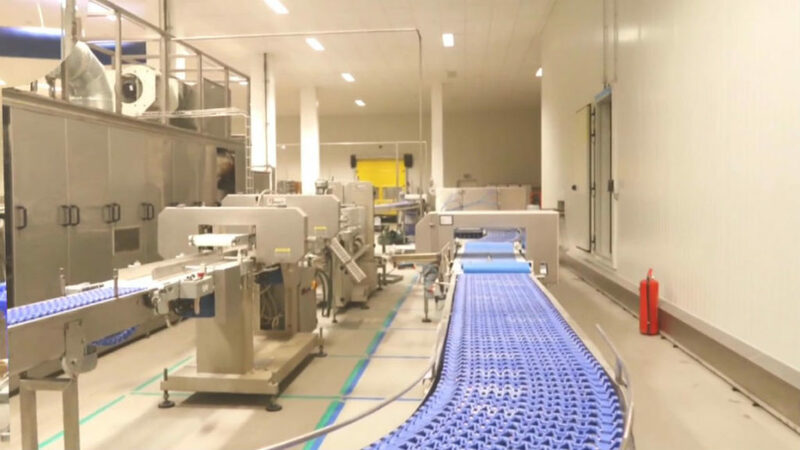 After disassembly in Spain and transport to Belgium, the line was gradually overhauled in Belgium and installed under the constant supervision of Dubet and Integrated Bakery. Based on the new lay-out it was necessary to make various technical configuration changes (engineering). In addition, various modifications had to be made to the building in order to continue to meet the safety requirements (CE standard) with the new lay-out. “As supplier we are responsible for the CE-certification. The entire process of this certification for the line has therefore been carried out by us”, says Rino. “After the installation, the assignment was to put the line into use, together. To make the commissioning a success, we have gone through 4 phases”. “There have been difficult moments during the project, but there has always been a professional and constructive cooperation. The end result is a completely overhauled and well-functioning line which produces magnificent bread. I would recommend this approach to anyone who needs to make a new investment and is struggling with low margins or cannot wait for the long delivery time of a new production line. Dubet and Integrated Bakery are professional companies with a lot of knowledge,” concludes Alain.